The Important Role Coffee Importers Have As Wholesale Coffee Suppliers - Intercontinental Coffee Trading Inc. When you wake up to a great cup of coffee, sip one in the afternoon, or have one at a cafe with friends, you hardly think of what it took to create that cup of enjoyment. That cup coffee started in a far-off country with great passion and toil. If it was a good cup of coffee it was probably served by a roaster or barista that put care and passion into making it. Regardless of when and where you had your coffee, a coffee importer had to put due diligence into assessing and acquiring the highest quality green beans to ensure exceptional flavors and aromas. As wholesale coffee suppliers, importers have the immense responsibility of understanding the art and science of coffee roasting, brewing, and especially tasting (cupping) coffee. If coffee importers get it wrong, there is hardly much a roaster or barista can do to make it great. Wholesale coffee suppliers and importers must visit farms around the world to understand how stable crops are before they import them in batches. They have to understand their process of growing, picking, and sorting. In addition, they need to do their research into the weather patterns, politics, transportation and much more. 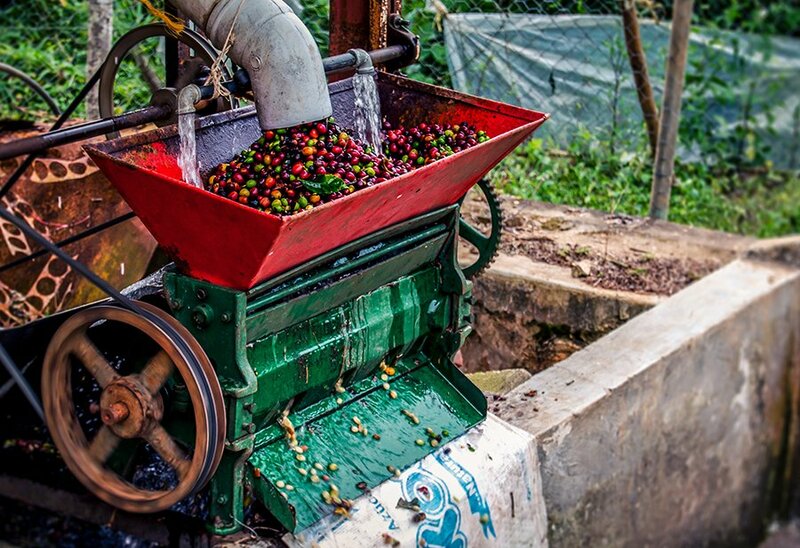 Every shipment can be a gamble, but if you rely on a first-class green coffee supplier, you can be assured they have done their research and evaluating not only abroad, but also here at home, before the put the beans on the market for sale. So next time when you sip a great cup of coffee you may appreciate it a little more because of all the hard work, dedication and passion that was put into it just to bring it to your taste buds.